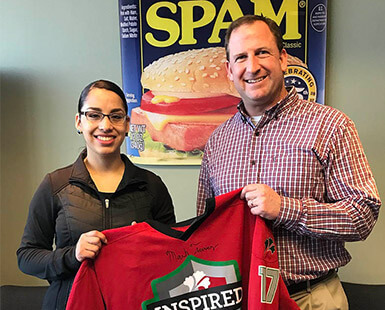 When it came time for Liliana Ramirez-Garcia to hand off the Hormel Foods Pride of the Jersey shirt, she did so with tears in her eyes. 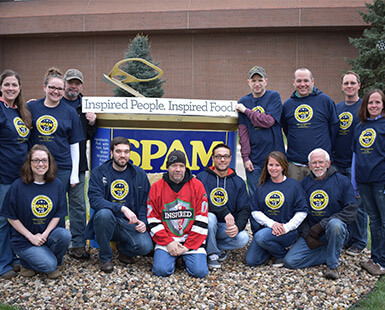 The honor of being only the third recipient from the flagship plant of Hormel Foods delighted the woman who, in her words, simply comes and does her job every day and tries to help others. 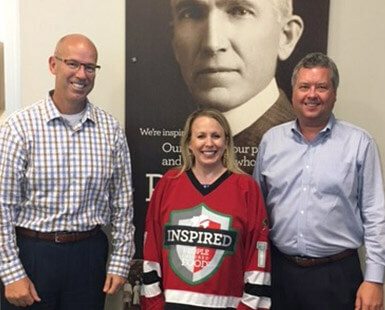 A second-shift worker in the ham-packing area of the Austin Plant, Liliana recalls a time recently that might have led to her selection for the Pride of the Jersey distinction. There was a shift in duties and each day, Liliana found herself with a new person. 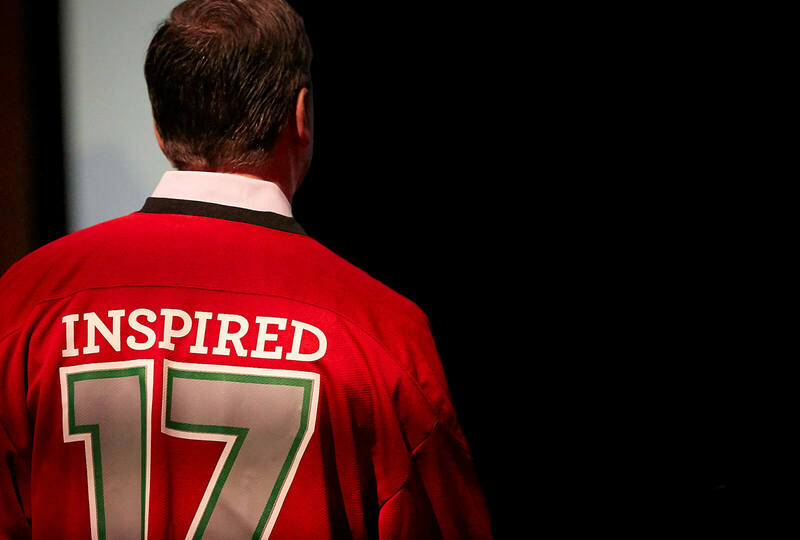 “I explained to the new people what to do. I wanted to help them,” she says. 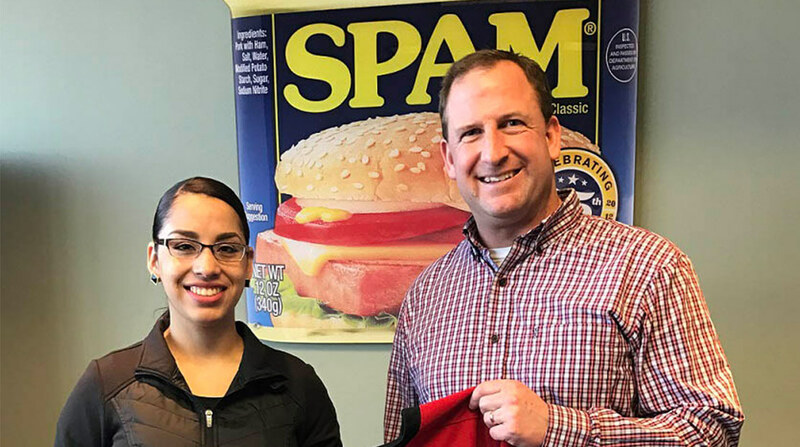 Liliana has been in the United States 13 years, two of them as a Hormel Foods worker. Her father emigrated from Mexico to Austin, Minn., ahead of his wife and children. Perhaps that’s one of the reasons Liliana relishes the time she can spend with her family when she’s not working. “We like to go shopping and out to dinner,” she says. Mexican cuisine is a favorite choice, though Liliana offers that it’s different from the dishes she’s accustomed to. Not to worry. Her immediate family of five and an aunt who lives nearby keep their Mexican heritage alive by speaking Spanish at home, cooking traditional meals and listening to music from their native land. That’s not to say that they haven’t embraced a few American ways, however. “My mother used to make tortillas every day [in Mexico]. Now we go to Walmart and buy them,” she laughs. The difficult part is being separated from family members in Mexico, especially her grandma. Liliana’s voice becomes quieter when she speaks of her. “She’s a prime example of what one person with excellent attitude can accomplish, setting the example for others to follow,” he says.